Here are the talks, starting tomorrow evening and continuing on each Wednesday. On June 10, 1768, the King’s Commissioners of Customs seized John Hancock’s sloop Liberty and its smuggled cargo of Madeira wine. 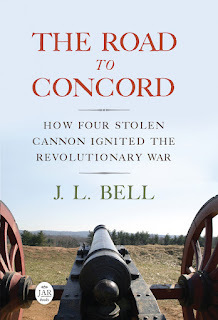 William Fowler, Jr., Distinguished Professor of History, Northeastern University, will describe how the Commissioners, fearing for their lives, fled to the safety of Castle William, while John Adams argued his case in defense of Hancock and Liberty at the Old State House. American patriot Paul Revere is wrapped in a swirling mixture of myth and poetry through which history often descends, but as a craftsman he left behind tangible traces as well. 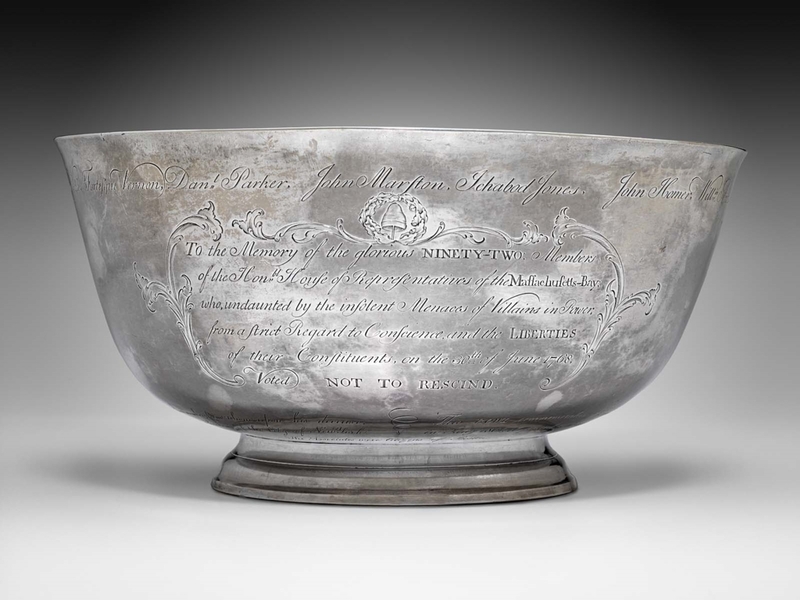 Gerald W. R. Ward, Senior Curator of American Decorative Arts and Sculpture, Emeritus, at Boston’s Museum of Fine Arts, will relate the story behind Revere’s Sons of Liberty Bowl, crafted in 1768 to commemorate the “Glorious 92” legislators who bravely opposed King and Parliament’s imposition of the Townshend Acts. From the emergence of “homegrown” industries in response to British taxes on imports, to harassment of officials by the Sons of Liberty, the Townshend Acts set the stage for tensions that would erupt in 1770 with the Boston Massacre. Learn how these new laws impacted 18th-century Bostonians’ everyday life in an interactive, first-person presentation featuring costumed actors from the Boston Tea Party Ships & Museum! The Townshend Acts marked a new radical phase in the crisis that eventually destroyed Britain’s American empire. Occupied Boston was the toast of radical patriots throughout George III’s dominions, and observers began to wonder whether Britain’s days as an imperial power were numbered. University of New Hampshire Professor of History Eliga Gould will tell the fascinating story of this transformation—as it appeared to Bostonians and from the standpoint of people on the far shores of the Atlantic. All these talks are scheduled to begin at 6:30 P.M. They are free and open to the public, thanks to the historical organizations involved and the Lowell Institute.